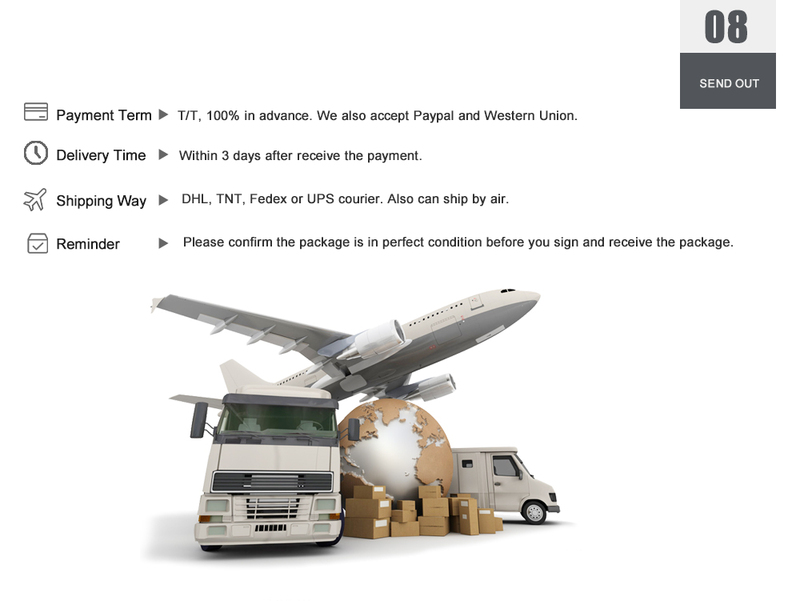 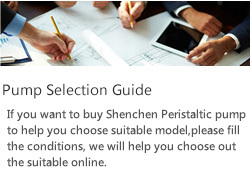 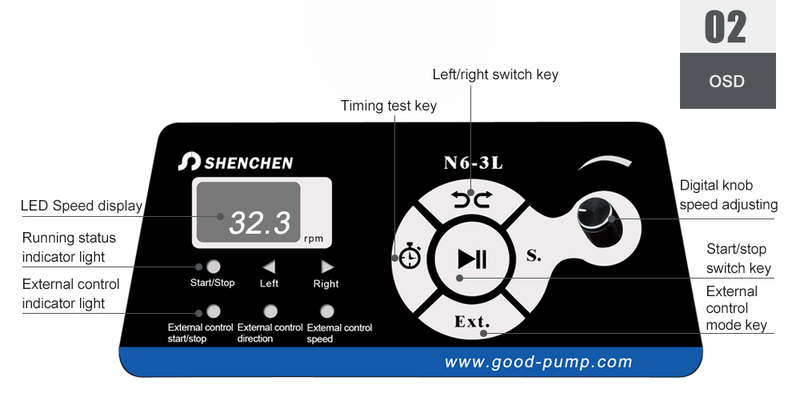 Mechanical keypad control start/stop, direction, timing test and external control selection. 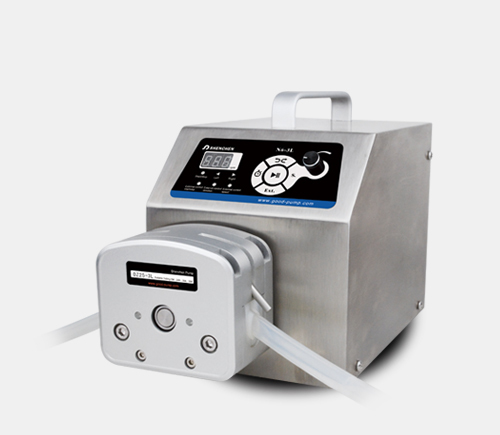 Rotary encoded knob control the speed or fast filling, easy to operate. 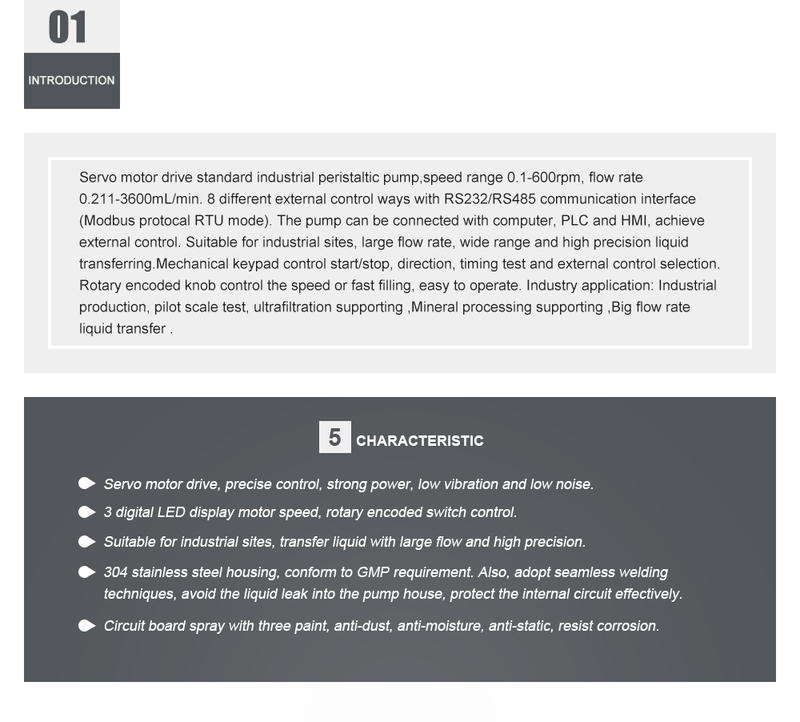 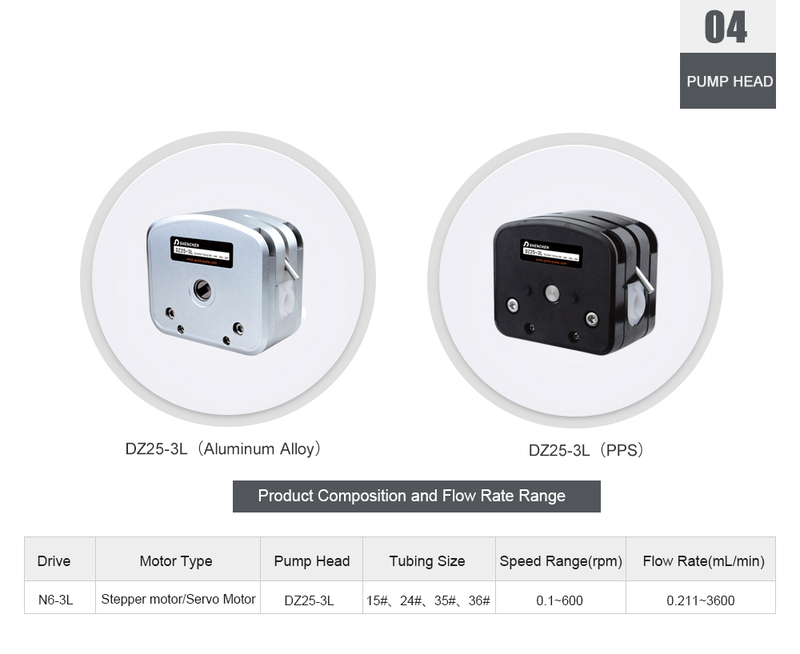 Servo motor drive standard industrial peristaltic pump,speed range 0.1-600rpm, flow rate 0.211-3600mL/min. 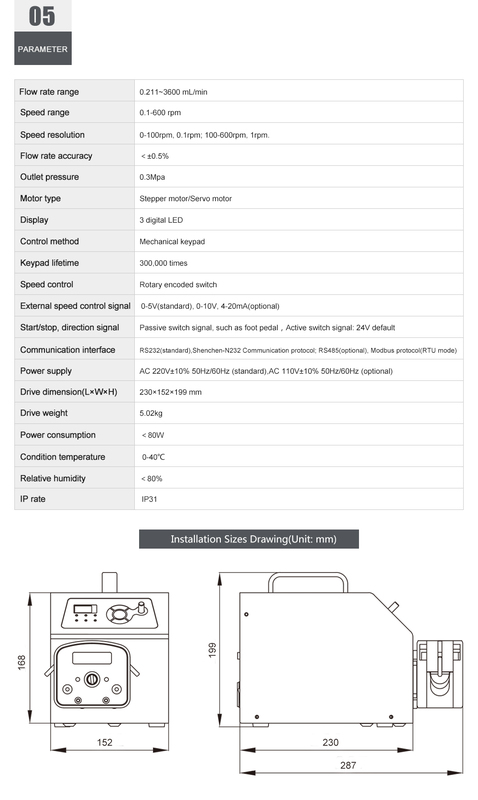 8 different external control ways with RS232/RS485 communication interface(Modbus protocal RTU mode). 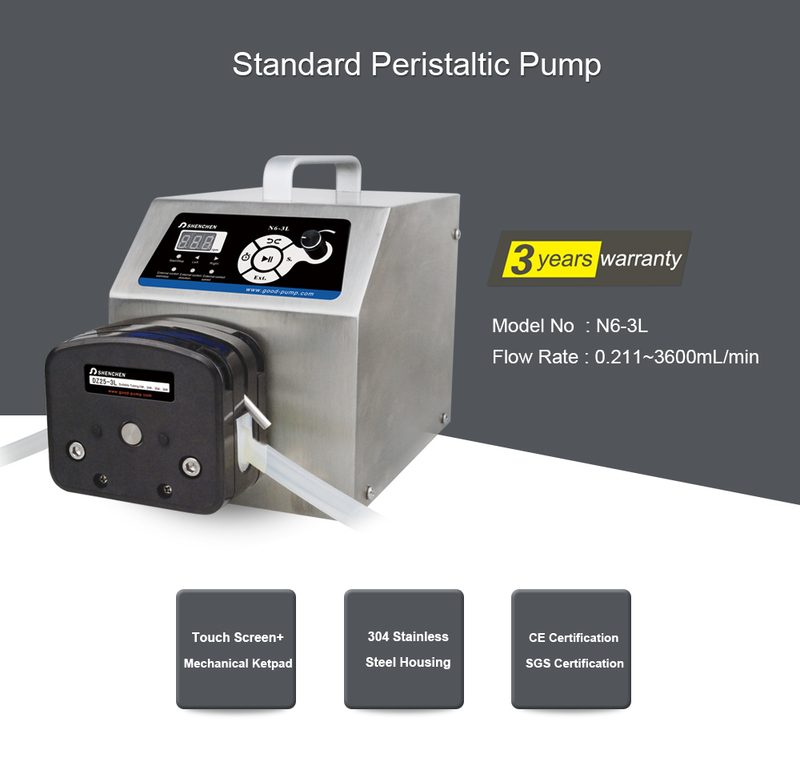 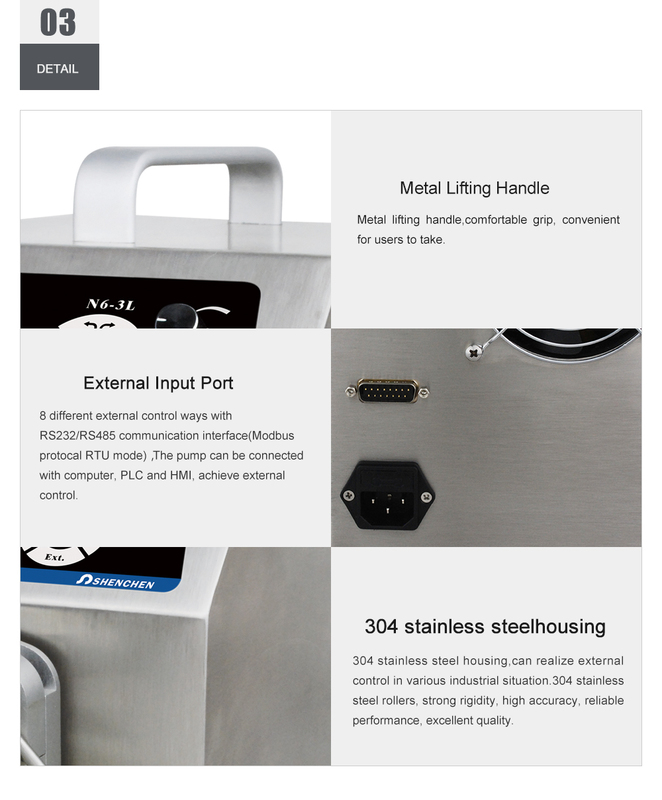 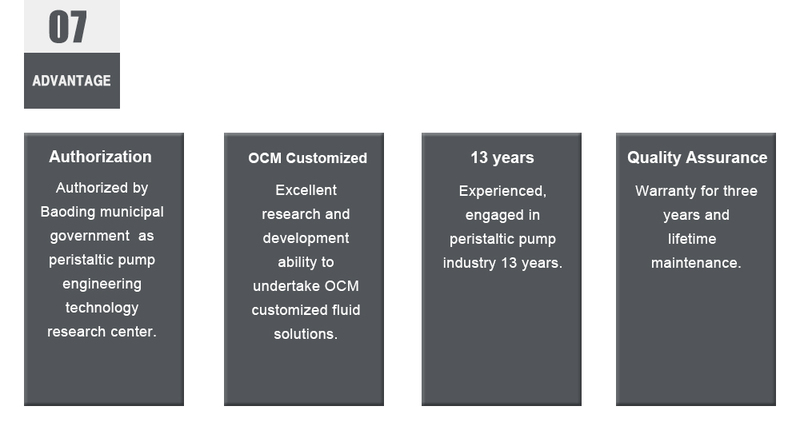 The pump can be connected with computer, PLC and HMI, achieve external control. 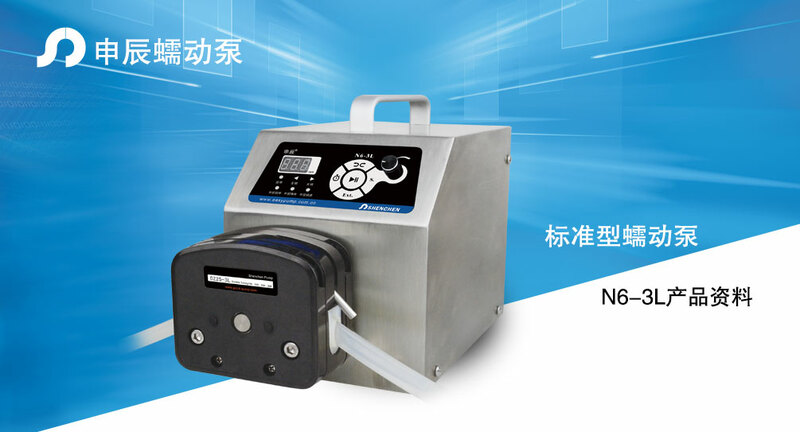 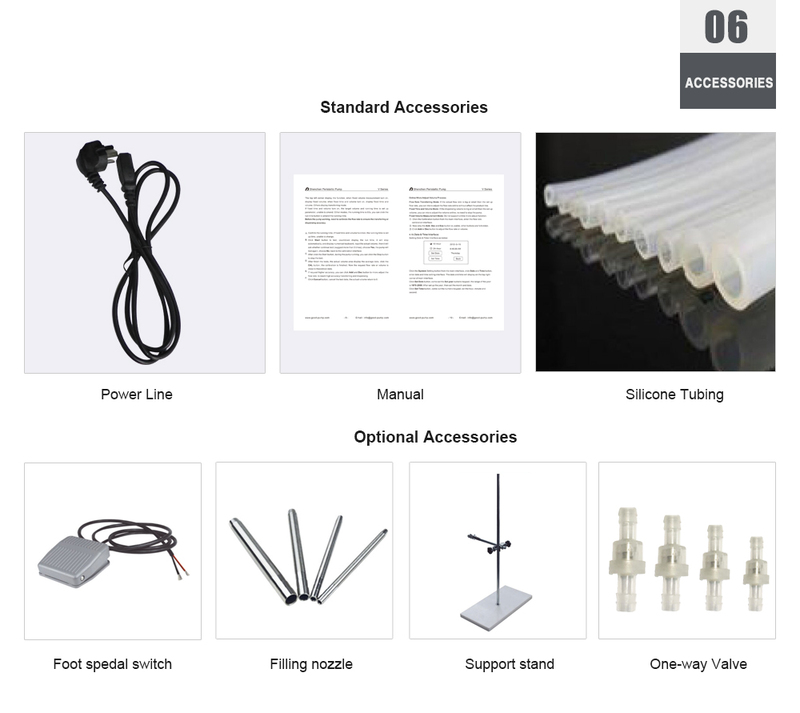 Suitable for industrial sites, large flow rate, wide range and high precision liquid transferring.